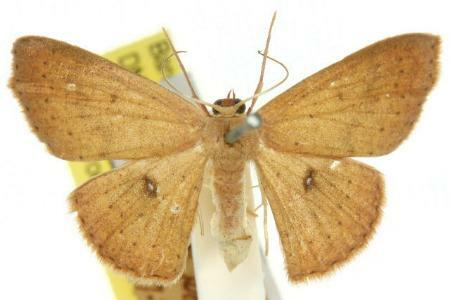 The adult moths of this species are pale brown with a lacuna near the middle of each wing and sometimes some dark markings. The moths have a wingspan of about 3 cms. Volume 4 (1897), pp. 48-49, No. 104.